Spain and Barcelona in particular are one of the top tourist destinations in Europe due to warm climate, friendly local people and an astonishing mix of modern lifestyle with the cultural heritage. It is mainly known for amazing architecture by Antoni Gaudi and Lluís Domènech i Montaner and for the FC Barcelona among football fans. Let’s explore the capital city of Catalonia in the Kingdom of Spain and see what sights are must-visit for every tourist in Barcelona. The number one on your list should be La Sagrada Família – a large Roman Catholic church designed by Antoni Gaudi and listed as a UNESCO World Heritage Site. Its construction commenced in1882, however, La Sagrada Familia is still under construction and is estimated to be completed only by 2028. Nevertheless, it is a masterpiece of modernisme architecture with a great number of small elements that make it look like a fairy castle. 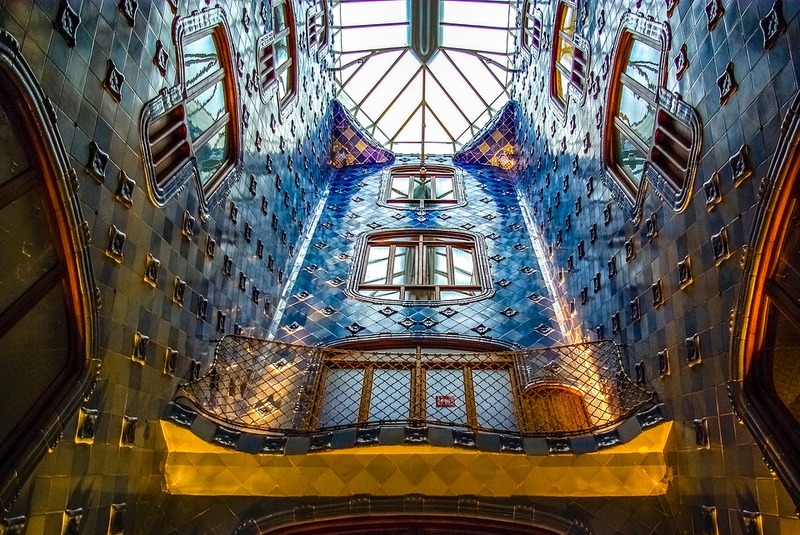 Gaudi made use of light and colour both inside and outside, he said that colour was the expression of life. Though unfinished, La Sagrada Familia attracts 2.8 million visitors a year and it is the most visited sight in Spain. Football fans can’t but miss a chance to attend a football match in Camp Nou – home to the legendary FC Barcelona. Camp Nou (New Field in Catalan) is the largest stadium in Europe built in 1957 with a seating capacity of almost 100 000. To attend an FC Barcelona match you can buy tickets either at Camp Nou, online on FC Barcelona’s official website or in different city locations. For football fans who are also interested in the history of the football club, there is the Camp Nou Experience with interactive galleries and a tour of the stadium. Antoni Gaudi is the one who is responsible for the majority of Barcelona sights and extraordinary buildings. He also used his great talent when creating a miniature city of houses for Count Eusebi Güell. 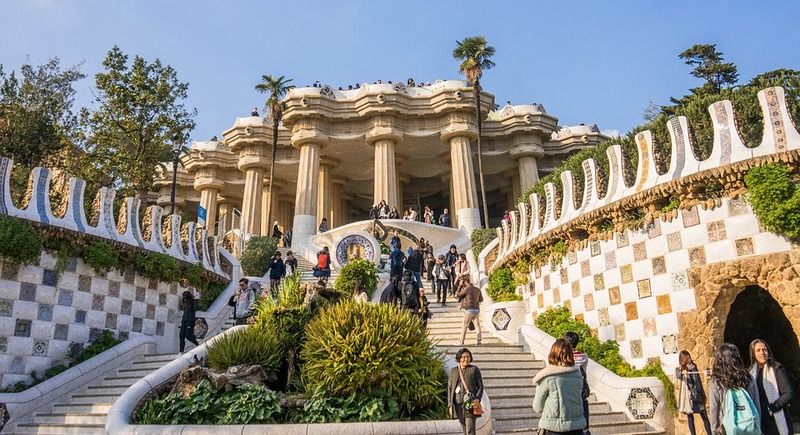 This park is now one of the top tourist destinations in Barcelona and is very loved by locals for its singularity and stunning beauty. Allegedly it was Pablo Picasso who came up with an idea to open a museum devoted to his works in 1960. 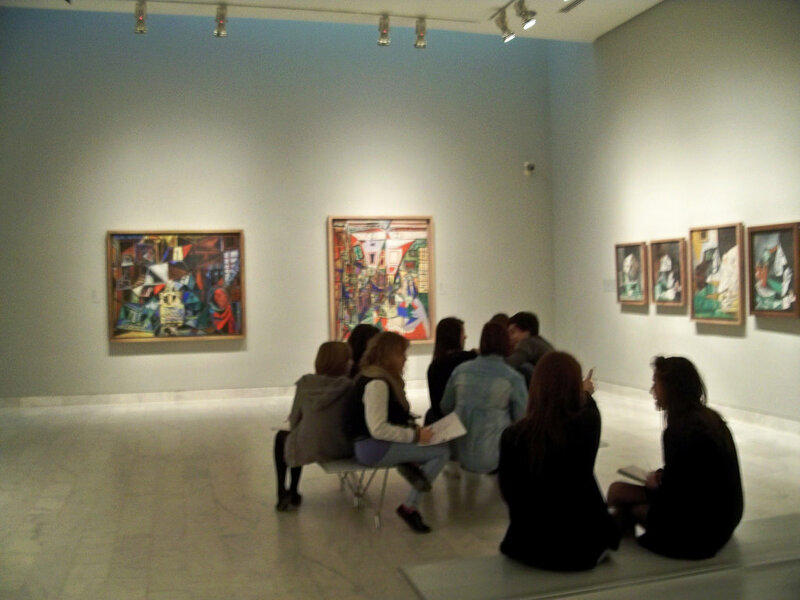 Today Museu Picasso (“Picasso Museum”) houses more than 4000 works of the painter’s formative years mostly. It occupies five houses or palaces of the 13th and 14th centuries. Among Picasso’s first major works you will find The First Communion and Science and Charity. 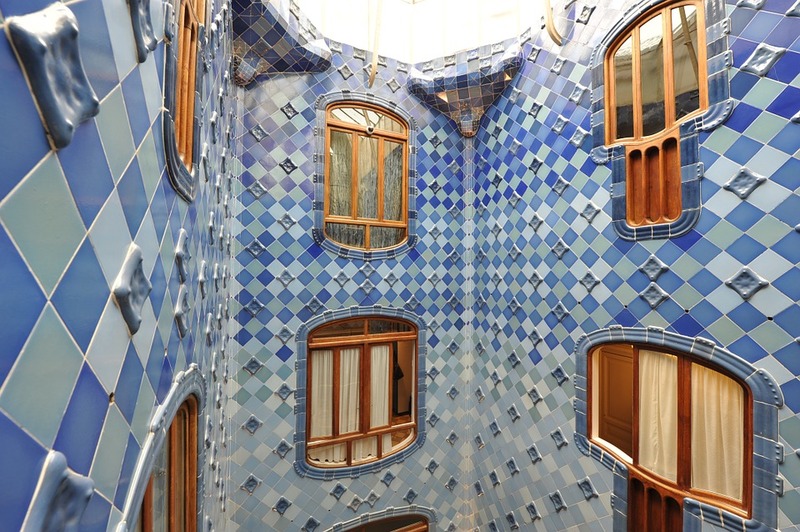 La Pedrera is yet another example of Antoni Gaudi’s talent. These are two building famous for their distinguished architecture. 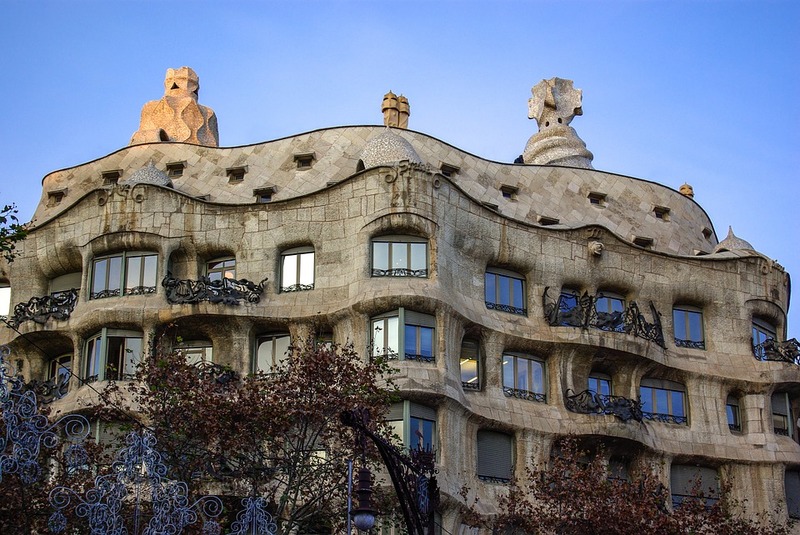 La Pedrera is widely known as Casa Milà and it was the last civil work designed by Antoni Gaudi. The building was commissioned by Pere Milà and his wife Roser Segimon, Today it houses a cultural centre with exhibitions, activities and public visits. For more Antoni Gaudi’s architecture head for Casa Batlló, another major tourist attraction in Barcelona. There are few straight lines like in all of his works and the façade is decorated with a colourful mosaic. The arched roof resembles the back of a dragon or dinosaur. Having a fun and interesting vacation can be cheap even in Barcelona. Enjoy its sandy beaches with promenade backed with restaurants. 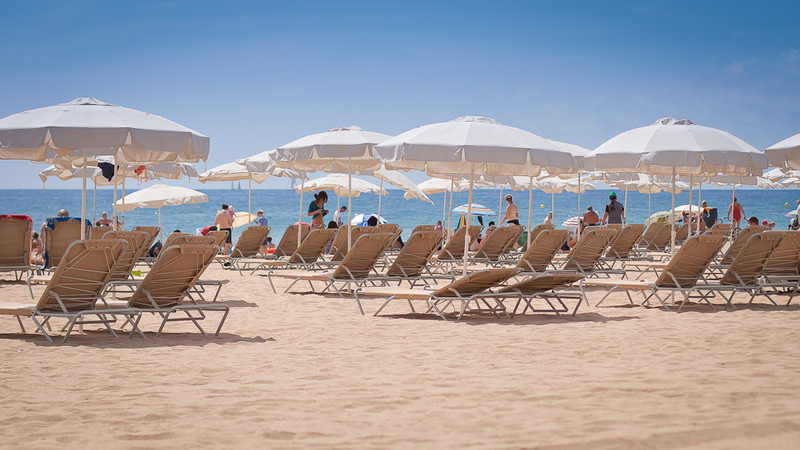 The most popular beach is Barceloneta loved for its golden sand, less touristy beaches are found to the north of the city. La Rambla is the most famous street in Barcelona. And it is famous both among tourists and locals for being an entrance into Catalan culture. Theatres, street artists, mimes and living statues are an indispensable component of La Rambla street. 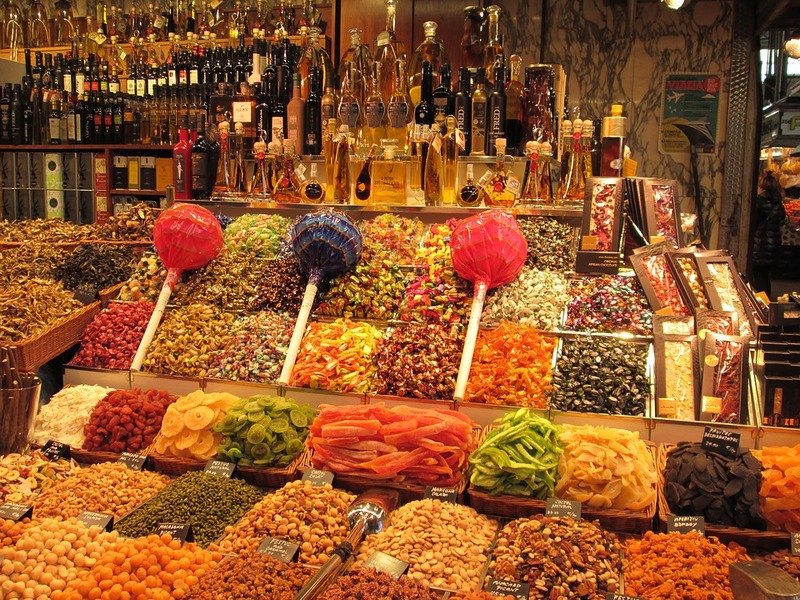 Mercat de la Boqueria is located on this vibrant street and is an authentic food market with a great variety of fruit, vegetables, cheeses, meats, sweets and so on. It is a place loved by tourists for its atmosphere and the market where many local best restaurateurs shop for fresh and super delicious products. When you visit Spain, don’t forget to go to Salvador Dali Theatre-Museum. It is located near Barcelona in the town called Figueres. You will reach it by car or by train in 1.5 hours and will be absolutely shocked by its mind-blowing interior exterior and interior. 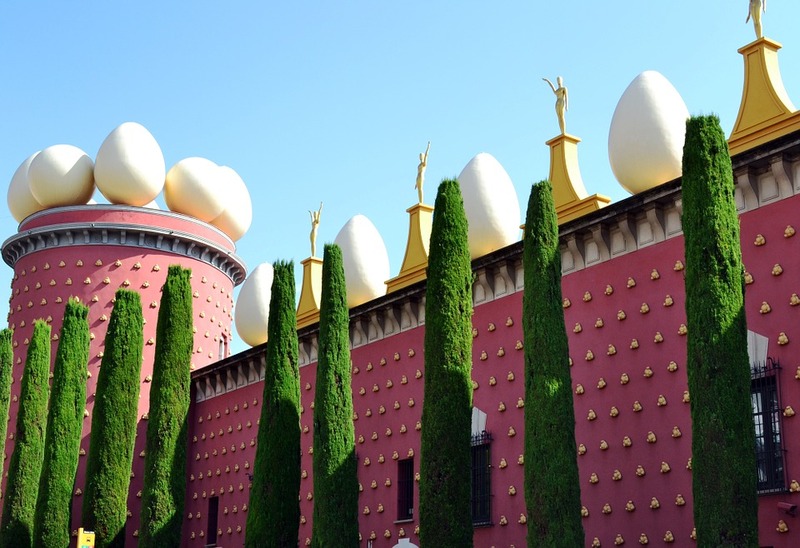 A red castle-like building with giant eggs on its top and Oscar-like statues are the embodiment of surrealism in life. This is a must-visit attraction for everyone impressed by Dali’s works. And no one can stay indifferent to them. 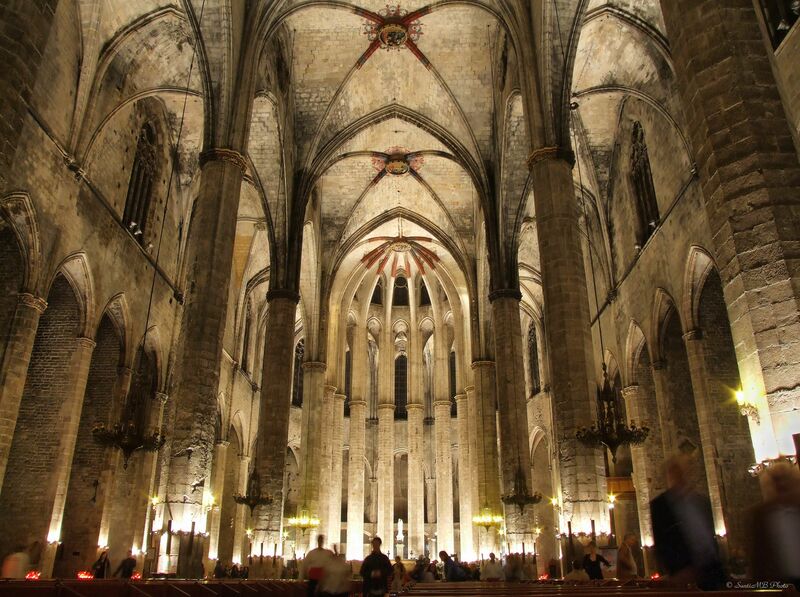 Basílica de Santa Maria del Mar (Our Lady of the Sea) is a church built in the 14th century in Catalan Gothic architecture style. The construction took record-breaking 54 years with the help of ordinary local people. Inside it is illuminated by natural light and gives an impression of spaciousness. From the outside it gives an impression of severity that belies the interior. Really thanks for sharing this useful post !! Barcelona is a nice place to visit for holidays and i will definitely visit these places with my friends in a short time.